Please feel free to contact us by filling the Enquiry form given below. We will provide you the specialized packages, best services and lowest prices for your customized requirements. 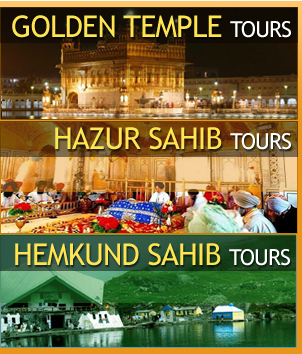 Golden Temple, Jalianwala Bagh and visit to Wagha Border Tarn Taran Sahib, Goindwal Sahib and Gurudwara baba Budha ji. Tour can be arranged by Air as well as By train.